We are all saddened by the passing of Jonah Lomu (1975-2015). In the last few weeks, there has been a constant flow of tributes that attest to his legacy both on and off the field. On social media some have shared their memories of meeting him while others recall waking up early to watch his legendary performance in the semi-final of the 1995 World Cup. His achievements in rugby are being acknowledged in newspapers, television and radio broadcasts around the world, all reminders of the rich contribution he has made to New Zealand and the international sport of rugby. Jonah was born in Mangere, Auckland and spent the first few years of his childhood in Tonga. He later attended Wesley College, New Zealand’s oldest surviving registered secondary school established by the Wesleyan Missionary Society in 1844. The college mandate is to provide education for students of Māori and Pacific Islands descent, and to students whose family and personal circumstances require special care. Wesley College has a proud rugby tradition with impressive alumni of All Blacks including Jonah, Stephen Donald, Sitiveni Sivivatu, Charlie Piutau and scores of professional rugby and rugby league players. At fourth form, Jonah was the youngest student to make the first fifteen-rugby squad. His sporting achievements at Wesley College have been circulating on social media since news of his passing. Amongst them was a tweet of Wesley College 1989 athletic champs results, where Jonah excelled placing first in all but three events. 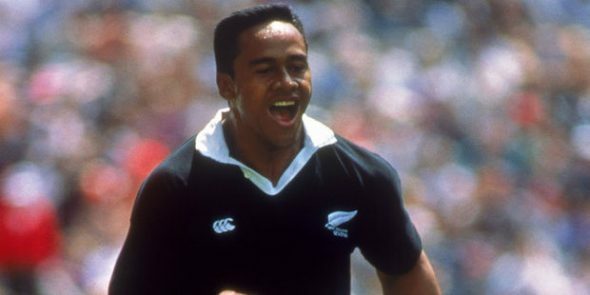 Not long after leaving high school he became the youngest rugby player to make the All Blacks, making his debut in June 1994 at the age of 19. By 1997, his try scoring feats and unstoppable play saw him at the height of the game and a major global sporting identity. Jonah had commercial ties to multinational sportswear companies such as Adidas and as several commentators have highlighted he became well established as one of the most marketable faces in world sport. 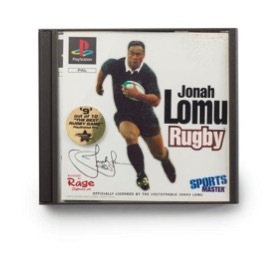 An object we have in the Te Papa collections that highlights Jonah’s global recognition is the PlayStation game “Jonah Lomu Rugby” – a most successful piece of merchandising based around his image and his spectacular style of play. 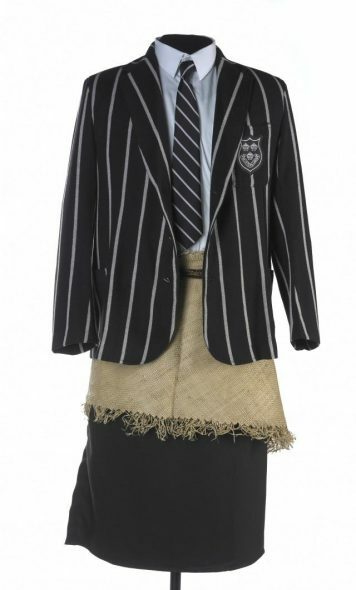 It may seem a very ordinary artefact, a mere commercial product but the reality is that popular culture, televised sport and a range of merchandise are some of the ways Pacific peoples have become familiar to people around the world. In Jonah, we are fortunate to have had such a talented athlete and gracious ambassador. It’s clear from the way that Jonah has been described in the past few weeks as a ‘hero’, ‘a legend’ and a ‘game changer’ that he left more than a little bit. Throughout his career he proudly represented New Zealand and his Tongan heritage, so much so that his successes in the black jersey were echoed and celebrated equally in Tonga and by Tongan communities around the world. Although his passing will be felt many, it will be felt most by his family and friends. Our condolences to the Lomu family, we hope that Jonah’s contribution to our nation and the Pacific will be remembered here at Te Papa for many years to come.